Bluetooth wireless speakers are ideal if you want to listen to share your music with others or listen to it without headphones. They work with any Bluetooth enabled device and offer a similar quality of sound to what one would expect with old fashioned wired speakers. CNet’s Matthew Moskovciak gave Bluetooth speakers high marks for price — versus AirPlay – portability and compatibility. There are different types of Bluetooth speakers on the market. The top five are Jawbone, SoundFreaq, Logitech Mini Boombox and HMDX Audio. Weighing around 2.7 pounds, Jawbone costs around $300. It has raised control, Live audio, 15 hours of battery life, 3.5 mm audio jack and a USB port. Next is SoundFreaq. SoundFreaq costs around $100 and weighs around 1.6 pounds. Besides listening to music, you can use your SoundFreaq speaker to charge wireless headsets or other devices through the USB port. Jawbone and SoundFreaq can only be used to listen to music. Logitech Mini Boombox is next. Weighing only eight ounces, it costs from $80 to $120. 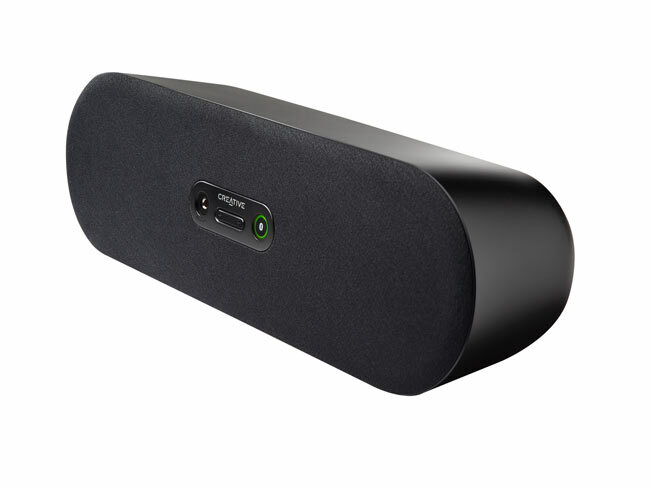 The Logitech Mini Boombox is a compact speaker with a bright LED indicator, touch buttons, connector, among other features. Next is the Matrix One, a somewhat futuristic, ball-shaped speaker that can be easily transported in a pocket or handbag. It costs around $80, has a range of about 30 feet and Matrix One allows you to answer phone calls through the speaker. If you want a really basic Bluetooth speaker, there is the HMDX Audio, which will cost you around $50. It has a range of about 30 feet and provides four hours of continuous music enjoyment. It has a rechargeable Lithium-ion battery, so there’s no need to worry about having to buy new ones. Bluetooth wireless speakers allow you to turn your mobile device into a music center or enjoy hands-free conversations via speaker phone. You can enjoy hours of downloaded music by yourself or with friends. And if you want to move your speakers around the room to get the best sound, you can do so, hassle free. Just make sure you keep your speakers within the maximum range.